I recently had the pleasure of meeting Matt Morgan who kindly agreed to do a sitting for me. You may have seen him in Ed’s video for ‘ynmidny’. I was actually quite excited to meet Matt as some peoples faces are so unique they are simply exquisite. What I like about drawing Matt was his eyes. They are as big, round and quite piercing, innocent and startling. Here’s some sketches i did of him, unposed and raw. 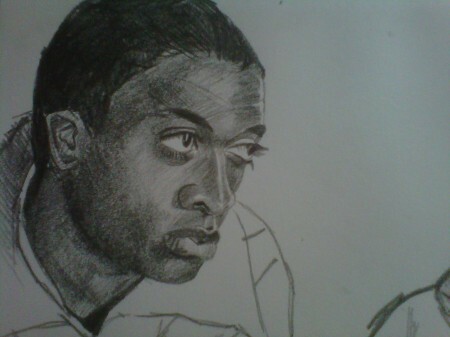 These were done using a chunky graphite stick. If you don’t have one please go out an buy one. They really free up your drawing. I will be doing some more drawings on Matt, so stay tuned in! 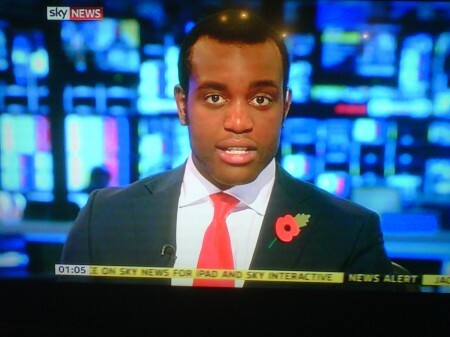 So I tend to watch Sky News really late at night and I’d thought I share their newest newsreader with you. Now if your reading this in the States your probably thinking, what’s the big deal? However the last Afro/Caribbean male newsreader I remember in the U.K. was Sir Trevor McDonald. An finally on Sky News here he is Gamal Fahnbulleh, I don’t know much about this dude but I was so happy to see him up there reading the news. You can get inspired from anywhere.